Because we believe our quality and customer support is one of the highest in the industry. Use your account balance for payment. Security, privacy, and confidentiality guaranteed: 2048-bit SSL encryption, NDA protection. Why Should You Choose Gotranscript for Your Transcriptions? To make your experience awesome and hassle-free we designed our system from scratch. NOW IT IS EVEN EASIER TO RECORD! 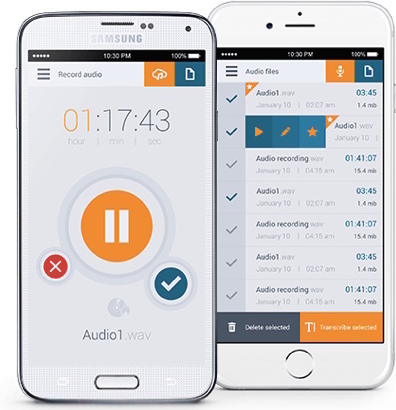 You can use GoTranscript voice-recording application for easy audio recording. You can use it for meetings, lectures, interviews, and other occasions. 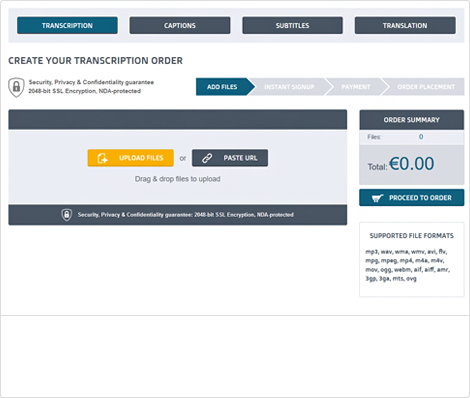 After recording your audio, send it to us for transcription, which starts from $0.72 per minute.